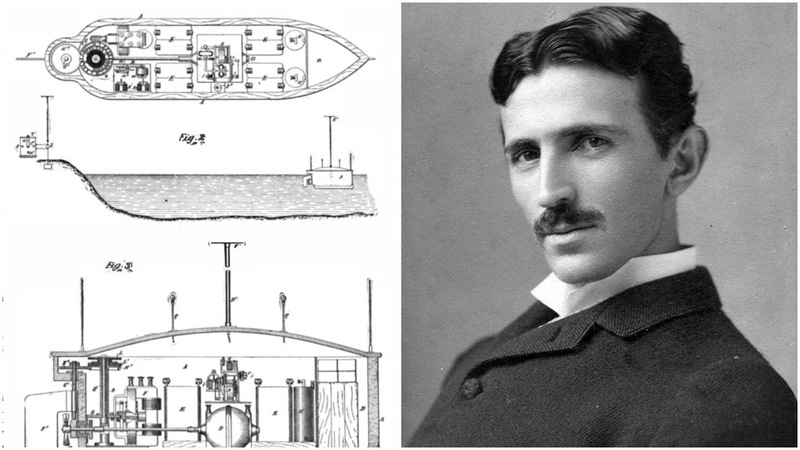 THE FIRST: STORIES OF INVENTIONS AND THEIR CONSEQUENCES The Serbian inventor Nikola Tesla is known as one of the fathers of electricity, the curious genius behind alternating current (AC), the victor in the so-called War of the Currents. 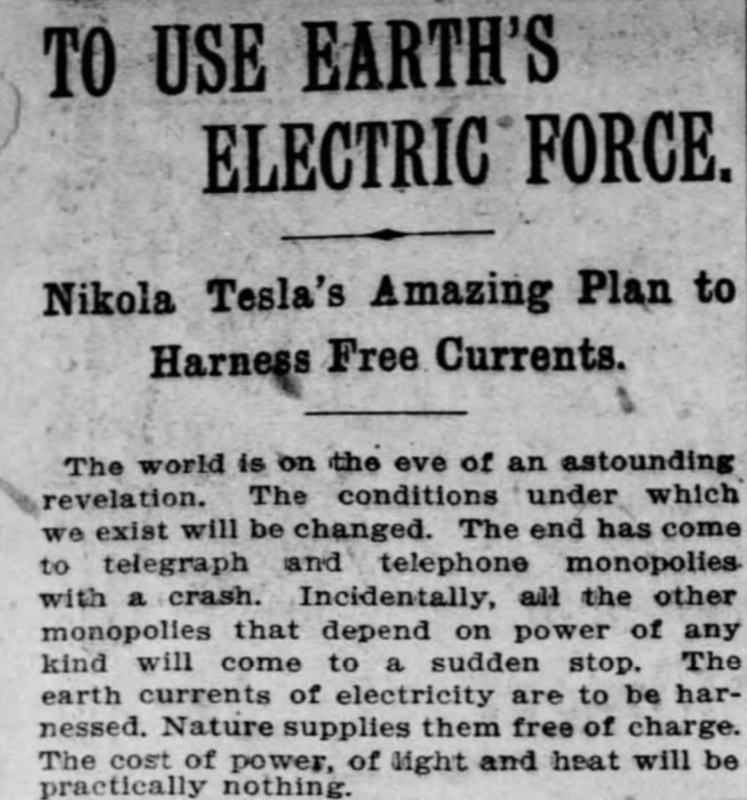 But in this episode of The First, starting in the year 1893, Tesla begins conceiving an even grander scheme — the usage of electromagnetic waves to distribute power. 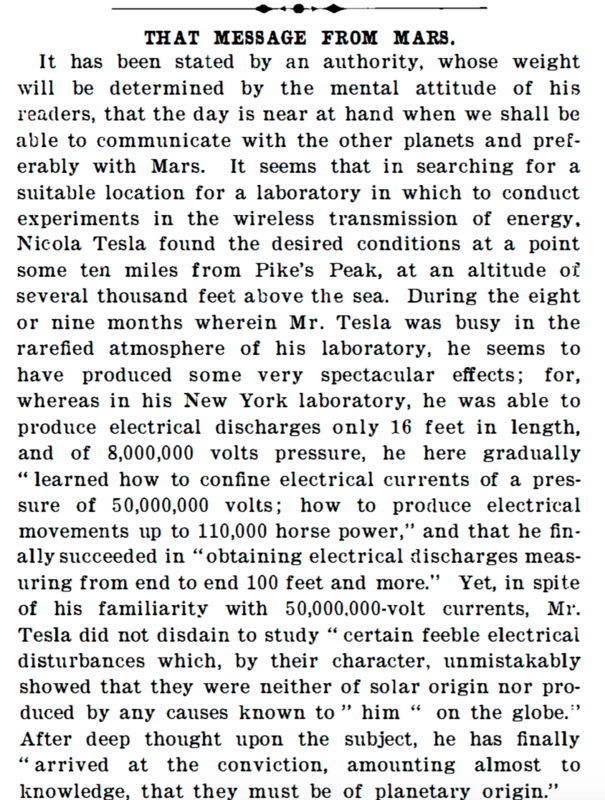 Today we benefit from the electromagnetic spectrum in a variety of ways — Wi-Fi, X-rays, radio, satellites. 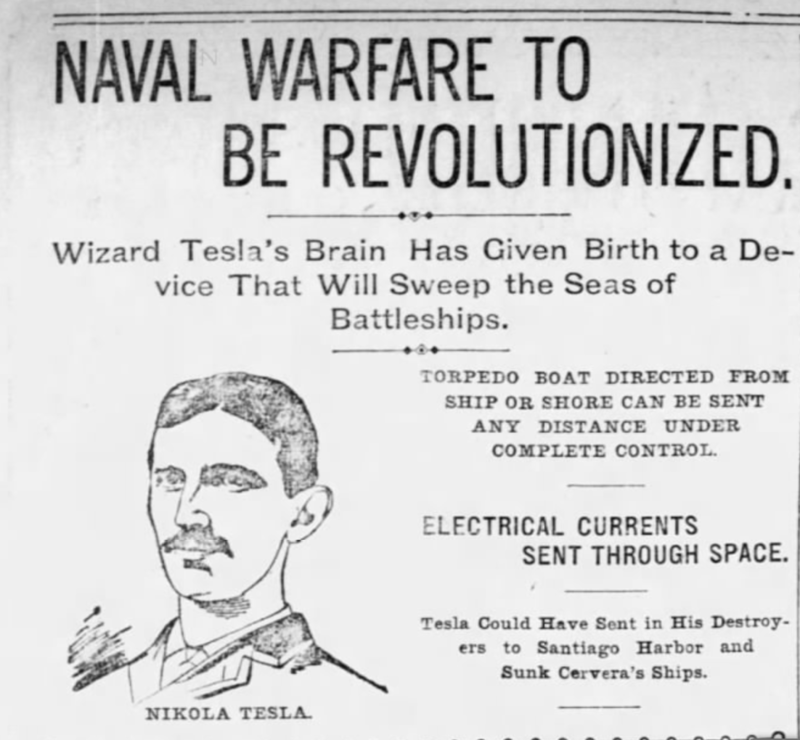 One of the roads to these inventions begins with Tesla and his experiments with remote control, using radio waves to operate a mechanical object. 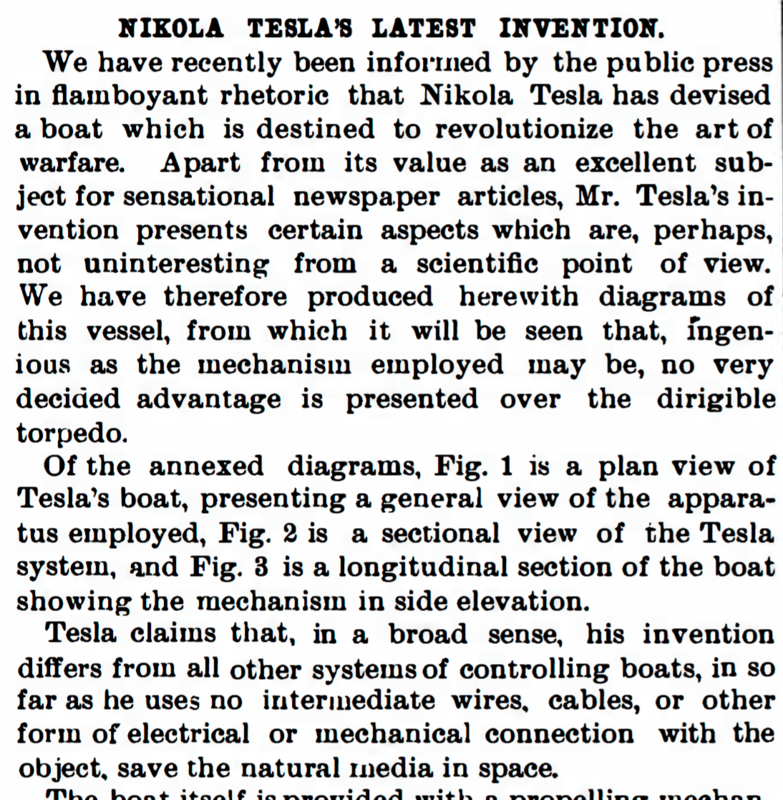 But you may be surprised to discover Tesla’s initial application of remote control. 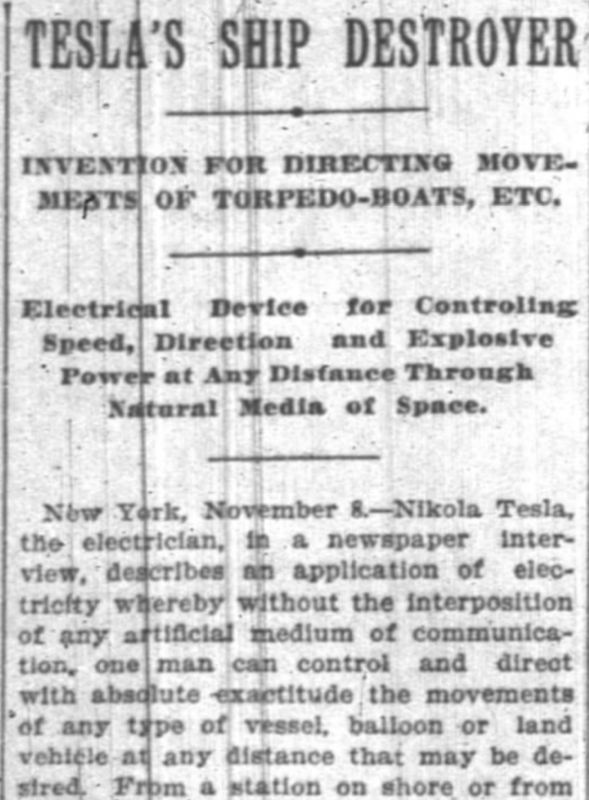 Far from inventing an children’s toy, Tesla’s remote controlled device would be used as a weapon of war. 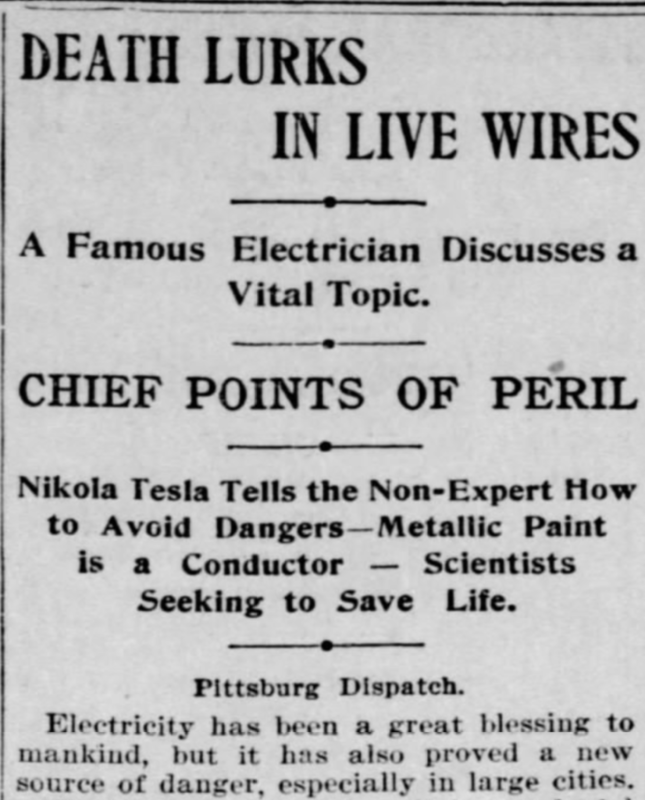 Below — A sampling of newspaper headlines involving Nikola Tesla, specifically from the mid and late 1890s (when he first began thinking and experimenting with wireless) and one from 1901. 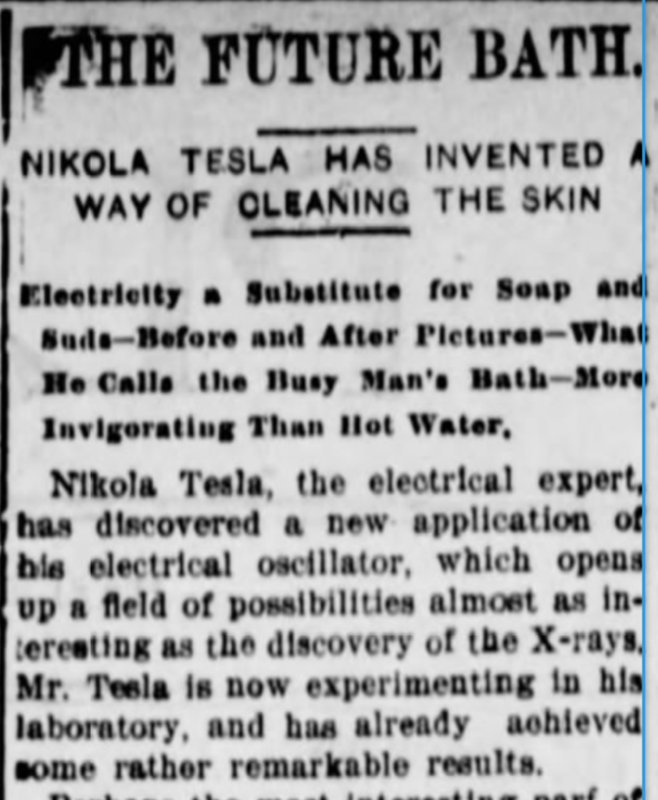 Electricity is Nikola Tesla’s life. 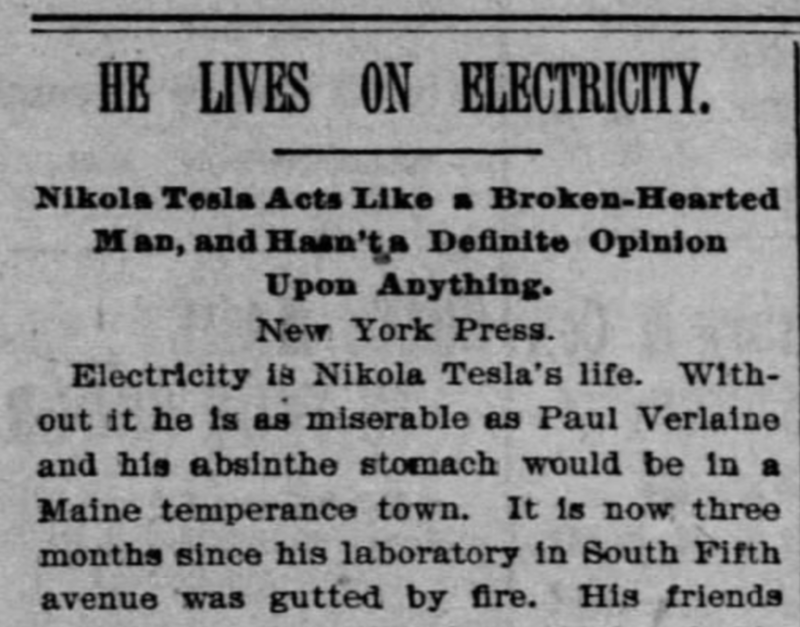 Without it he is as miserable as Paul Verlaine and his absinthe stomach would be in a Maine temperance town. 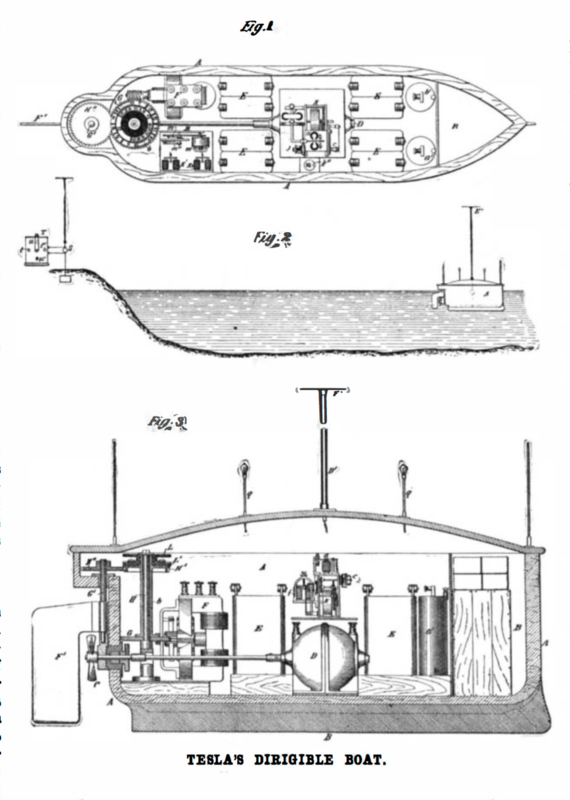 Invention for Directing Movements of Torpedo-Boats, Etc.